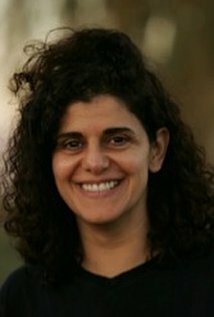 Hanan is the award-winning sole producer of four feature films. Her first feature film ‘I Can’t Think Straight’ won 11 awards and her follow up movie ‘The World Unseen’ had its debut at the prestigious Toronto Film Festival before going on to garner 23 awards internationally, including 11 SAFTAs (South African Film Awards). In 2011, Hanan completed a feature documentary co-director and producer. Shot on location in Israel and Palestine, The House of Tomorrow looks at the conflict between these countries from a perspective of women who are focused on building a future and was inspired by the TEDxHolyLand conference that Hanan co-curated in Jerusalem. The film had festival debuts in New York and Sarasota in 2012. Hanan’s latest feature as producer is Despite the Falling Snow. Hanan has spoken at conferences such as DLDWomen, TEDx TelAviv and TEDx Holyland, as well as film panels at BAFTA and the BFI. She holds a Masters in Online Marketing from the University of San Francisco. She has presented the Google Workshops at the Great British Business Show and spoke at the Kingston Business Expo. She is also the founder of Business Mastery Online, a video course aimed at giving start up businesses the tools they need to ensure success.